Designed for low bore friction, pressures considerably lower than with firearms. Because the pressures used in most airguns are on the order of 1/10 that of most cartridge firearms (or even less), the typical airgun projectile has a cup or hollow base, and a semi-wadcutter style nose or a 2-S spitzer shape. The standard cartridge rifle nose shape of 6-S and longer radius is usually far too long, and would add too much weight to be practical. 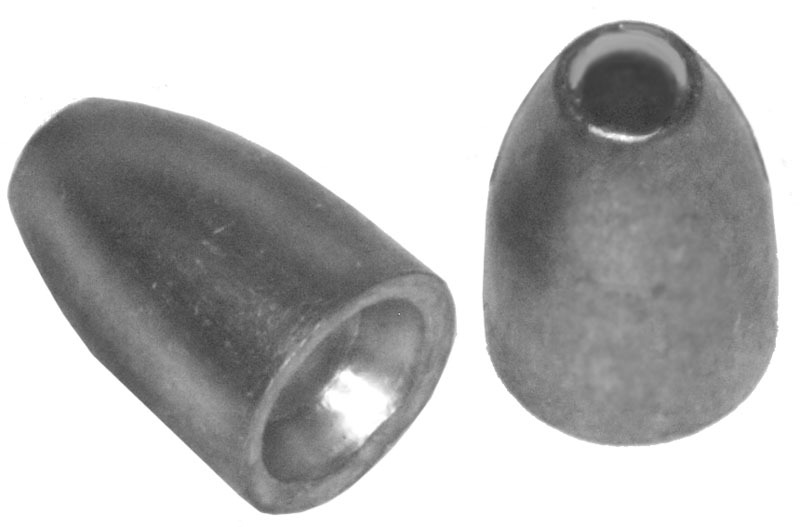 Hollow points are commonly used to reduce weight and aid in expansion. However, with swage dies the possibilities are limitless: you can try any design idea desired. There are TWO basic styles: the lead semi-wadcutter style with a shoulder, and the smooth ogive style without a shoulder. The SWC style can be formed with a straight-hole die with nose and base both formed against the end of punches. The smooth ogive style requires a die with the bullet shape diamond-lapped into the die cavity itself, with a smaller ejection pin which can from a flat tip or a hollow point. 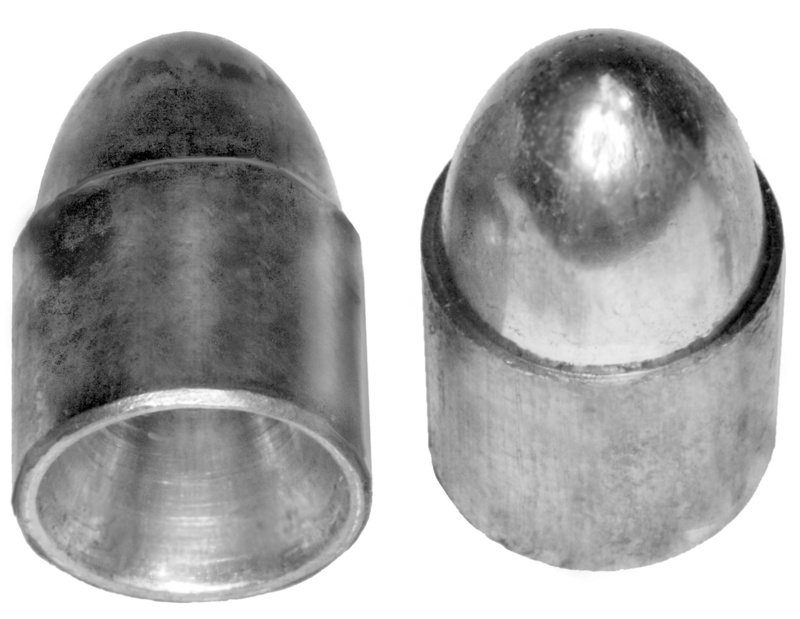 The LSWC-1 type dies can be uased to make shotgun slugs, pistol bullets, black powder slugs, etc., but not all of the options are suitable for pellets (for example, the BG or Base Guard disk is not used in airgun projectiles, but it is an available option for this kind of die. A cup base or hollow base is more suitable. Rebated boattail bases can also be made, although they are better for PCP airguns with higher pressures than they would be with spring air rifles or other low pressure guns.